MyChoize Self Drive Cars is a self drive brand owned by ORIX, Japan’s second largest self drive car rental company. 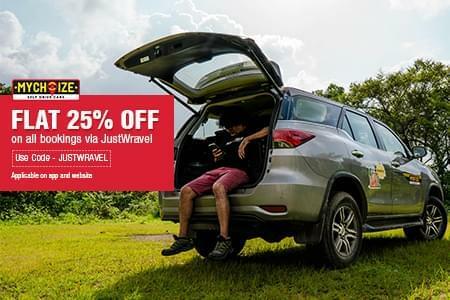 Along with JustWravel, we endeavor to provide wravelers to book their Self Rental and be a part of evergrowing #wravelerforlife community. MyChoize presently offers self drive cars in 13 Indian cities including Bangalore, Pune, Mumbai, Delhi-NCR, Hyderabad, Chennai, Kolkata, Jaipur, Indore, Chandigarh, Ahmedabad, Surat and Vadodara.